Ajda was a temporary annex to the existing kindergarten in the town of Ravne na Koroškem. Three 20’ foot containers were attached to the core of the existing building in a single day and it took only two more weeks for the children to move in. 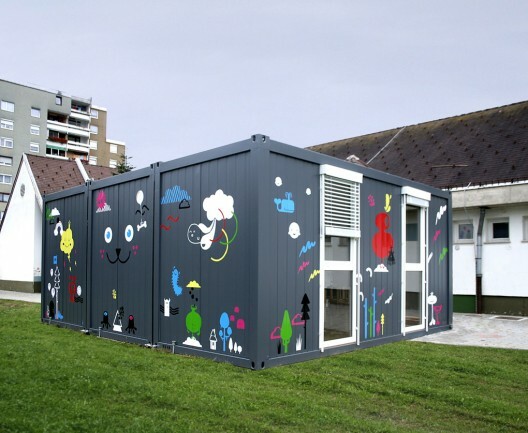 The three containers were joined into a single room for 14 children. The new unit grew out of the old building at the entrance and like a true parasite construction it exploited the entire infrastructure of the existing kindergarten, including the cloakroom and sanitary facilities.